-La. Tech won 8 games in 2018 against 7 FBS opponents (South Alabama, North Texas, UTSA, UTEP, FAU, Rice and Hawaii) who had a combined overall record of 31-57 or .352%. -The Bulldogs won those 7 games by an average margin of victory of 11.5 ppg (total score of 201-120). -La. Tech also defeated FCS opponent Southern U. by a score of 54-17. -La. Tech lost 5 games to FBS opponents (LSU, UAB, Miss. St., Southern Miss and Western KY) who had a combined overall record of 38-25 or .603%. -The Bulldogs lost those 5 games by a total score of 162-66 or 19.2 ppg. -Texas won 10 games against FBS opponents (Tulsa, USC, TCU, Kansas St., Oklahoma, Baylor, Texas Tech, Iowa St, Kansas and Georgia) who had a combined overall record of 66-61 or .519%. -The Longhorns won those 10 games by a total margin of victory of 9.4 ppg (total score 303-209). -Texas lost 4 games against FBS opponents (Maryland, Oklahoma State, West Virginia and Oklahoma) who had a combined overall record 32-19 or .627%. -The Longhorns lost those 4 games by a total score of 153-132 or 5.2 ppg. WANT TO READ MORE ABOUT THIS WEEK 1 MATCH-UP? 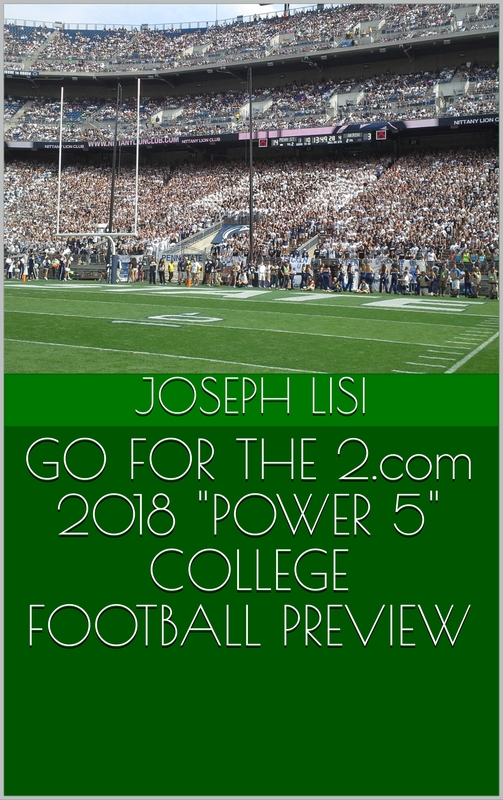 ORDER THE 2019 GO FOR THE 2 “POWER 5″ COLLEGE FOOTBALL PREVIEW ON AMAZON!! !